Diageo is set to make radical changes to two of its leading Indian whisky brands in export markets following talks with the Scotch Whisky Association (SWA). The UK multi-national – which, since its 2014 takeover of United Spirits (USL) is the leading player in both the Scotch and Indian whisky industries – has stopped selling Bagpiper outside India, with effect from 1 January this year. 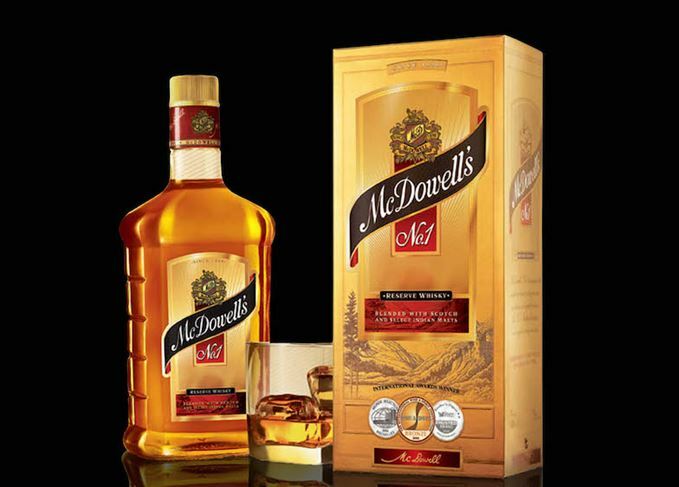 It will make as yet unconfirmed changes to another Indian whisky brand, McDowell’s No. 1 – with reports suggesting that it will be renamed in export markets. The SWA’s concerns centre on the use of ‘Scottish names’ on non-Scotch whiskies; both Bagpiper and McDowell’s are blends which incorporate Scotch whisky with Indian-produced, non-cereal grain base spirit, usually derived from molasses. ‘The SWA monitors carefully any use of Scottish names on spirit drinks that are not Scotch whiskies in world markets,’ said an SWA spokesperson. ‘Following its take-over of USL, the SWA has had helpful and positive discussions with Diageo about the Bagpiper and McDowell’s brands, with agreement reached on those brands in markets outside India. ‘In India, where those brands have been on sale for several decades, it is understood that McDowell’s and Bagpiper have a reputation locally as Indian brands. Diageo said it had ‘come to an agreement’ with the SWA in relation to Bagpiper and the labelling of McDowell’s outside India, adding: ‘We will now be working through a transition period to implement the changes, which will remove Scottish references. Both brands are heavily reliant on India for sales, with McDowell’s shipping only about 2.5% of its estimated 25m cases in annual sales overseas, and Bagpiper selling only 0.3% of its 9m cases outside India prior to the halt in exports. Bagpiper, McDowell’s and the SWA acting as ‘cultural shock troops’. Where will it all end? Diageo’s Indian whisky brands have had their export wings trimmed – but does the deal go far enough?